Caramel Topped Mini Cheesecakes combine two of my dessert obsessions, caramel and homemade cheesecake. 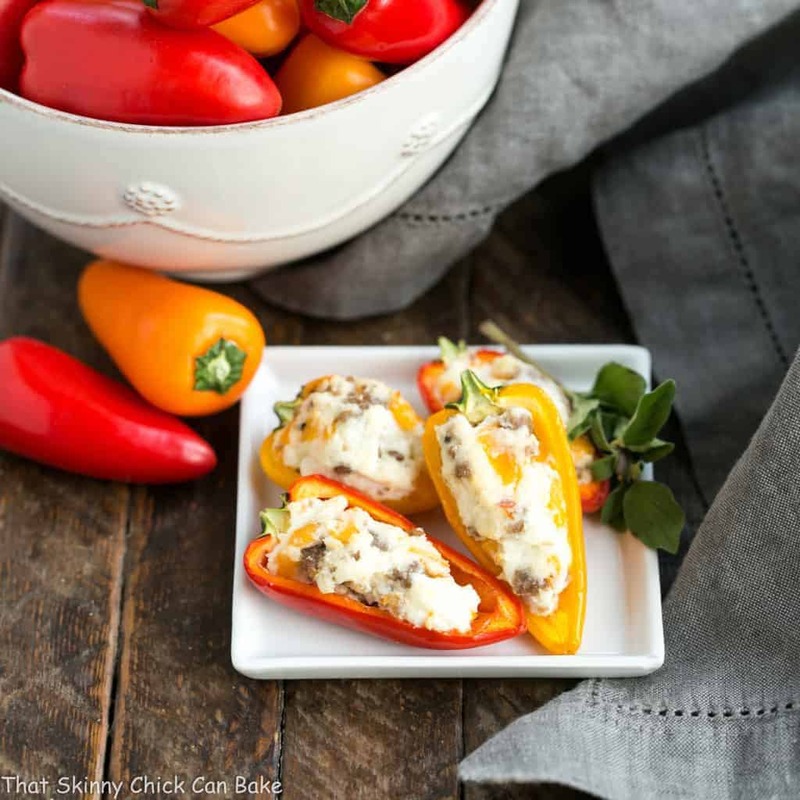 Making these in muffin tins provides the much-needed portion control! It’s time for another installment of the Secret Recipe Club where each month I’m assigned another blogger to stalk and recreate one of their recipes. 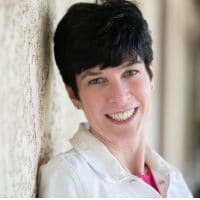 I was thrilled to be assigned another old friend, Erin, of Making Memories with Your Kids. She makes oodles of wonderful desserts, so it was a challenge to figure out which one to choose. First, I printed off her Peach Crumb Bars before changing my mind and baking up these extraordinary Mini Cheesecakes topped with Caramel. Erin used salted caramel, but I went back to an old recipe for Microwave Caramel (done in 5 minutes or less!) for my topping. 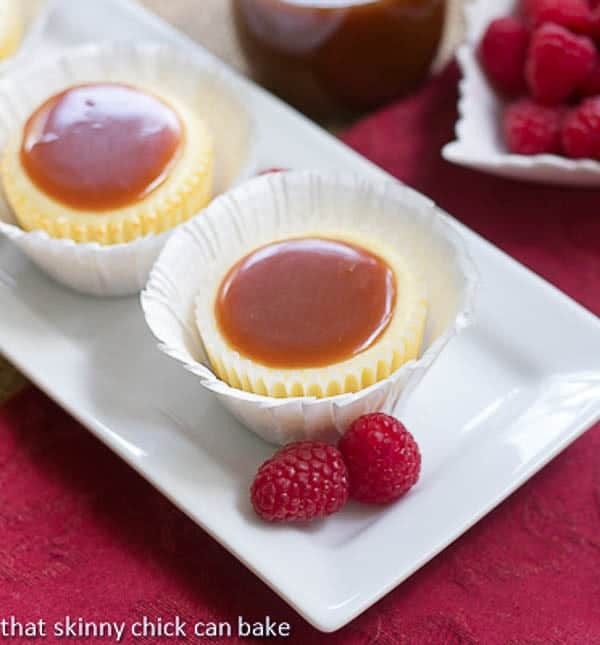 These Caramel Topped Mini Cheesecakes were terrific!!! Thumbs up from the whole family. Not that I had any doubt. Please go visit Erin and you’ll also have trouble deciding which of her marvelous recipes to try first. When it comes to making cheesecake or microwave caramel sauce, there are a couple rules to follow. First up, use room temperature ingredients. Your batter will be much smoother if your cream cheese, eggs, etc are not pulled fresh from the fridge. If you’re using a stand mixer, use the paddle attachment. The whisk will incorporate air into the batter, making air holes and a light, not the traditional dense result. If you’re using a hand mixer, just mix on low speed. If you try my microwave caramel sauce, don’t fret if the first batch is a flop. All microwaves heat differently and sometimes it’s difficult to see if the sugar is coloring through the appliance window. It should just be a pale yellow. If it’s already an amber color when you pull it out, it will be too dark as it continues to bubble and cook on your counter top. Just make a note of the exact time used when you’re successful, then you can have fresh caramel sauce in a matter of minutes anytime you want! Preheat oven to 350º. 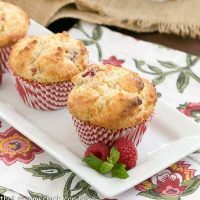 Line a 12 cup muffin tin with paper liners and set aside. Mix together graham cracker crumbs, sugar and melted butter till well combined. Add a well rounded tablespoon to each muffin cup and tamp mixture into an even layer. Allow to cool while preparing filling. Mix cream cheese, sugar and flour on low speed till smooth. Mix in eggs one at a time on low speed, and scrape down sides of bowl after each addition. Add vanilla, sour cream and heavy cream and mix just until combined. If your batter has lots of air bubbles, tap your bowl numerous times on the counter to help remove them. Alternatively, use the paddle attachment of your stand mixer to make batter to minimize air bubbles. Divide mixture among muffin cups, but don’t overfill (you may have some extra batter. 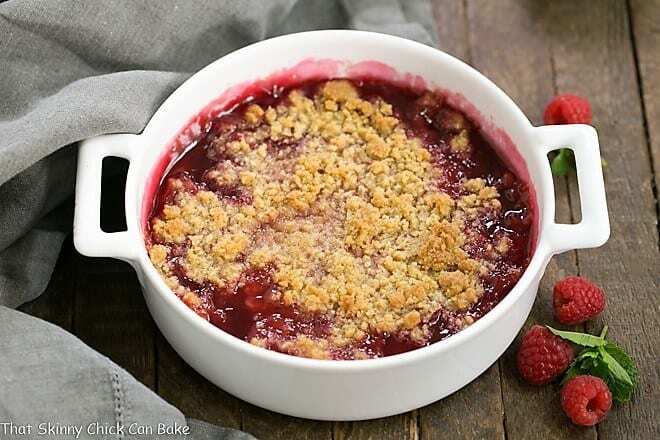 Bake for 20 – 23 minutes, centers may still be slightly jiggly. Remove from oven and allow to cool 1 hour. Then move to refrigerator and chill 2 hours. Serve chilled with a spoonful of caramel sauce. To make microwave caramel, mix sugar, corn syrup, water and lemon juice in a 2 cup capacity Pyrex measuring cup. Microwave till mixture just starts to take on a bit of color, 4-5 minutes. Watch carefully…my previous microwave would burn it at 5 minutes, but my current microwave needs almost a full 5 minutes to get to a pale amber. Remove cup to counter where it will continue to bubble and darken to an amber color. Add hot cream a couple tablespoons at a time (it will bubble intensely, so add slowly). When all the cream is added, stir and add in butter. Store in fridge up to 2 weeks. Total time does not include cooling and chilling time. Truly spectacular and I will be using that caramel sauce on many things. Thanks for adding that. (I really wasn’t freaked out too much this month. I love the salads and almost went with your corn. basil and tomato salad and your Mexican chopped salad. I will be trying those too. I’ve never heard of microwave caramel sauce…so smart!!! 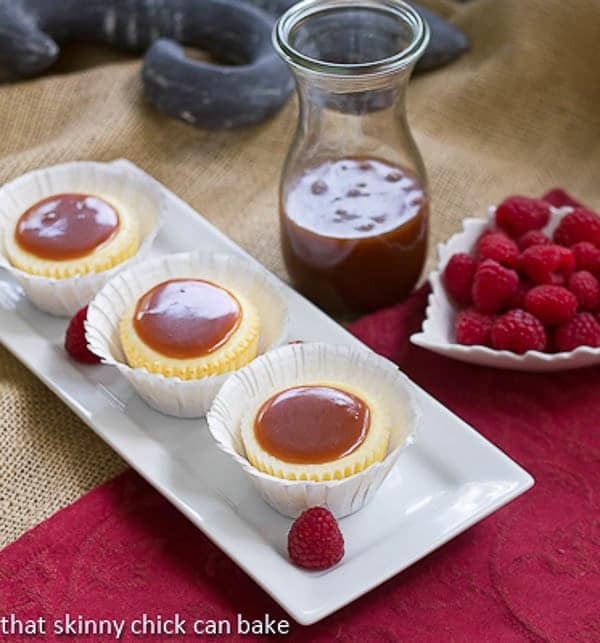 These little cheesecakes look absolutely perfect. I just wanna LICK that caramel sauce! Thank you for all the tips to successfully make these cheesecakes. They looks very delicious and I’m sure I would want more than one. Yum Lizzy, that caramel looks to-die-for good! Hope you’re having a wonderful time! These are gorgeous and look SOOOO good! Thanks, Liz, for your kind words. Your cheesecakes look wonderful! Excellent pick =o) I can’t wait to try your caramel sauce. So quick. Perfect! These mini cheesecakes are so adorable! I wish I could reach through the screen and grab a couple 🙂 Delicious! 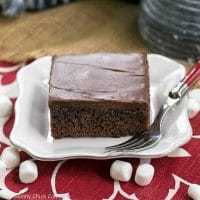 Love, love secret recipe club posts! Always so exciting! And each and every one of your mini cheesecakes is a little perfection! 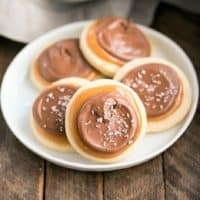 Caramel topped mini cheesecake? *SWOON*! These look so dreamy. 🙂 I can eat a boatload of these. Please, give me the whole plate because I know that eating one will not be enough! Looks so cute and perfect. Surprised that I have never made cheesecake at home, I have to add it to my list Liz. LOOOOOVE the caramel in the microwave! Great choice, Liz! These look scrumptious. Five-minute caramel–heck yeah! Caramel must be the most perfect topping for cheesecake! What an amazing recipe! Looks beautiful, and I bet it tastes incredibly good! These are adorable! I am drooling on my keyboard right now, I just love caramel with pretty much anything! I love these mini cheesecakes! They look so adorable and pretty! That caramel sauce sounds heavenly, I would probably eat it by the spoonful:) So delicious! What a great treat! I’ll have to check out her blog – those peach crumb bars are calling my name. Learning how to make caramel sauce in the microwave probably isn’t a good idea for me. However, these look so over the top delicious I am going to ignore the little voice that’s trying to warn me about calories. Caramel and cheesecake. A winning combination. One I would eat before it got served. There might not be much caramel left for anyone else! These look so luscious, Liz! What a great summer treat! OOOOh Liz that caramel looks so ooooey gooey good! I will bet these little gems were delicious! Looks wonderful Liz! perfectly decadent and deliciously sweet. Caramel has been a bit intimidating at times so I appreciate your tips on timing, Liz. There’s something about a mini cheesecake that I love. I never feel guilty eating it because it’s always just enough on my plate so I won’t over indulge. These look wonderful and I’m sure they’re smooth and tasty! Yum, I love both cheesecake and caramel- these are so cute! Love the caramel topping! These cheesecakes are heavenly, Liz. 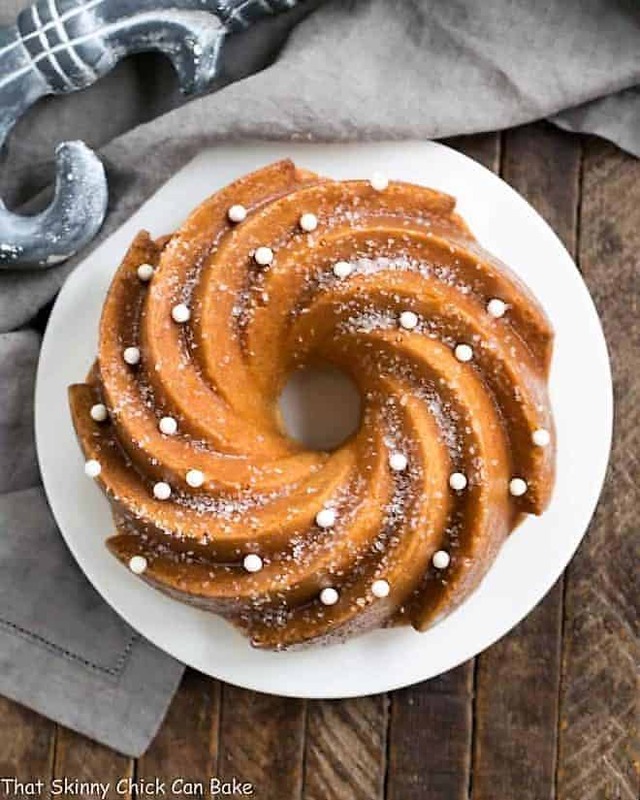 I knew when I saw the thumbnail photo in the recipe links, this was your post. I guess I recognize your style of photography or something! All I know is your photos are always awesome. These little caramel cheesecakes are so cute! Your cheesecakes always look so perfect. I am sure they taste delicious too! Especially with the caramel sauce. Great pick! Nothing can reject caramel on cheese cake…. 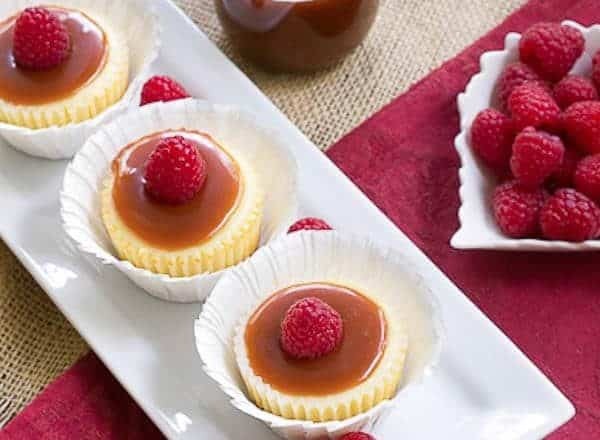 Mmm, cheesecakes.. and caramel… and I see raspberries too!! Perfect dessert for me, looks delicious! Mmm, these are so delicious little treats Liz! The one thing about these beauties is that they trick you and when you start eating them you cannot stop to just one! yes and YES! and I suppose if I have more than 3, it’s ok because they’re mini, right? How cute are these!! I love them! Anything caramel has my vote but i love that it;s on cheesecake! These look so pretty and I like the idea of a microwave caramel sauce. I wonder if it would work without the corn syrup. Such pretty little cheesecakes and sound so scrumptious! I didn’t know you could make caramel sauce in the microwave…thanks for sharing! What gorgeous little cheesecakes! the caramel topping is perfect! I am sold on just the homemade caramel sauce alone. I think the only problem here is that you have to wait to let the cheesecake before eating. Maybe you can do shots of the caramel sauce while you are waiting. Wow these are so beautiful! What a lovely recipe. 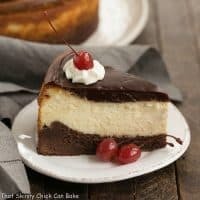 I’ll definitely be trying this one; so many cheesecake lovers in my family! These look delicious! Who can resist a mini cheesecake? Add caramel and you’ve got trouble! I love this little cheesecake Liz, and yes, the caramel topping just add more to the already delicious cheesecake…looks delicious! Your cheesecakes look delicious. What a great choice for the Secret Recipe Club. These mini cheesecakes are screaming my name right now! I swear, what is it with dessert cravings striking you late at night? I could go for a couple of these! These look perfect for Easter! Liz, love these mini cheesecakes!! and LOVE the caramel topping! I love the Secret Recipe Club idea! And can I say again, that I LOVE LOVE LOVE this easy caramel sauce! I hope I have enough left over for the cheesecakes?!?! I want those~! 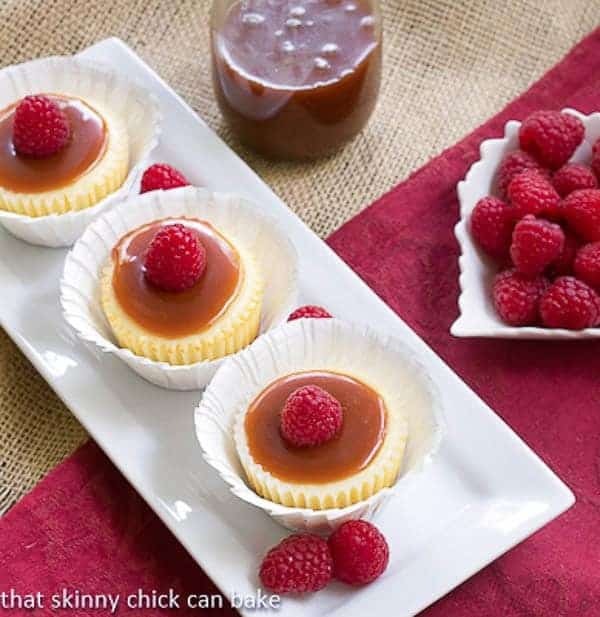 Your individual caramel topped cheesecakes are so pretty~! This is another great make-ahead idea for entertaining. Thanks Liz~!! !